From the sun-soaked Beverly Hills coastline of UCLA to the verdant eco-sprawl of UC Davis, the sheer variety of academic, social, and professional environments offered by the nine undergraduate campuses of the University of California (UC) system make it an incredibly appealing higher education option for international students. However, while most international high school seniors looking to apply to American universities are acquainted with the near-universal Common Application, many are unaware that the UC system in fact has its own specific application process. So what differentiates the UC campuses and their application from the Common Application, and what should potential international applicants to the UC system expect from the process? 1. 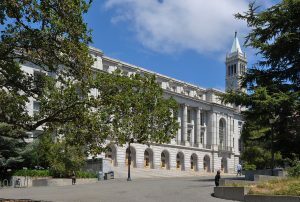 The UC system, contrary to private universities like Harvard, Stanford, and Princeton, is a public university system, meaning that it is subsidized in large part by the state government of California. As such, California residents make up roughly 83.5% of the nearly 200,000-strong UC student body, and their applications are prioritized over those of nonresident students. By no means does this mean that the UC schools are a lost cause for international students; however, given that 171,000 students applied into the UC system for the 2016-2017 application season, it does mean that the UC system’s acceptance rate will only be trending downwards for the foreseeable future (for the 2016-2017 application cycle, fifty-four percent of out-of-state applicants were accepted to a UC campus). 2. UC applicants need only fill out the UC application once in order to apply to as many of the nine campuses as they wish. When filling out the application, the student is prompted to list which UC campuses they would like to apply to, and upon completion the application is sent to each campus listed by the student. Note that for international students, there is an 80 USD fee for each UC campus to which the student opts to apply. 3. Unlike the Common Application, the UC system application does not ask students for recommendation letters from teachers, counselors, or any other individuals. Some campuses may ask a very small number of applicants for recommendation letters after the application has been submitted, but this is the exception and not the rule. 4. The UC system also does not offer early action (EA) or early decision (ED) options for applicants, as is common with many Common Application universities. All UC applications for the Fall 2018 term must be submitted between 1 November and 30 November 2017, inclusive. 5. Much like the Common Application, the UC application does have a writing component that must be completed by the student. However, while the Common App requires the student to write a maximum 650-word personal statement answering one of seven prompts in addition to supplemental prompts of varying length individual to each university, the UC application instead offers the student eight prompts, four of which must be answered in essays of 350 words or fewer. 6. The UC application does not ask the student to submit an official school transcript; the student is instead required to input all of the academic information found on their transcript into the application itself. Students of non-American curriculum secondary schools are given the opportunity to briefly describe the structure of their academic curriculum on the application so as to elucidate any confusion on the part of the admissions officer. The UC system offers students a nonpareil myriad of rich, world-renowned educational options in the most populous (and arguably most diverse) state in the United States – 61 researchers and faculty associated with the University of California have been awarded Nobel Prizes, and UC Berkeley alone has produced four former world leaders, eight United States state governors, and educated three members of European royalty. Paul Stock is an Educational Consultant at Hale Education Group and a graduate of Tufts University.